Virginia Lawyers Weekly presents the compilation of Important Opinions from January to June 2016. You’ll find more than 233 cases highlighted. “Important Opinions” show up on the cover of the paper each week and in a recap available on our website. These are the cases chosen by our editors as most likely to impact law practice or a given subject area of law. Subscribers to Virginia Lawyers Weekly can obtain a PDF copy of any of these cases for free from our website. Our digests in the print edition will resume with the July 11 paper. 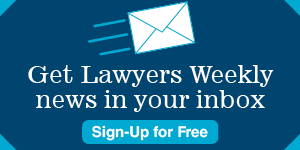 In the meantime, look for breaking news and cases on valawyersweekly.com and on the VLW Daily Alert. See the Important Opinions of January-June 2016.